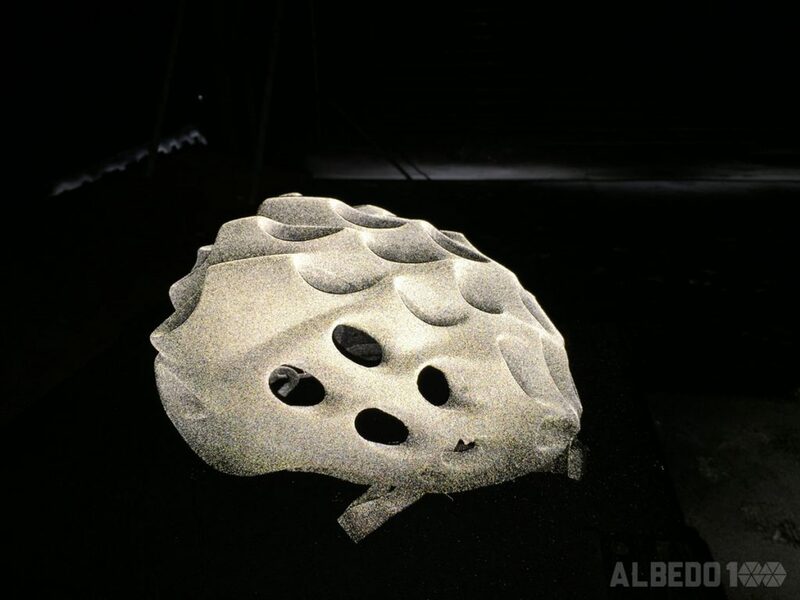 Non-permanent colourless is transparent on application. Look safe only when it matters. 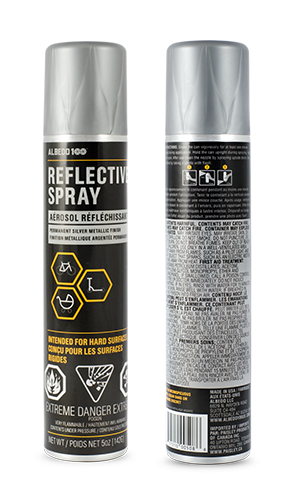 Albedo100 Reflective Spray is an innovative aerosol, designed with safety in mind. 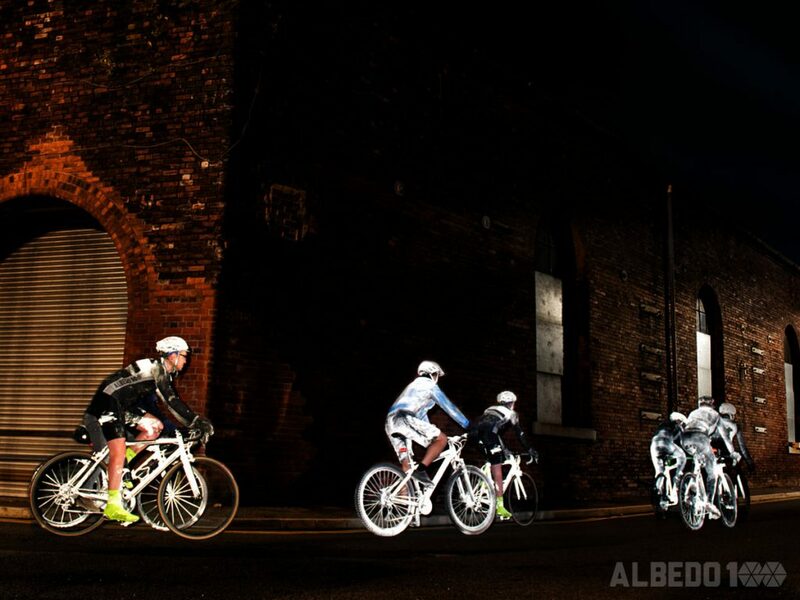 This light reflective spray enhances visibility in low light conditions and ensures you are seen by others. 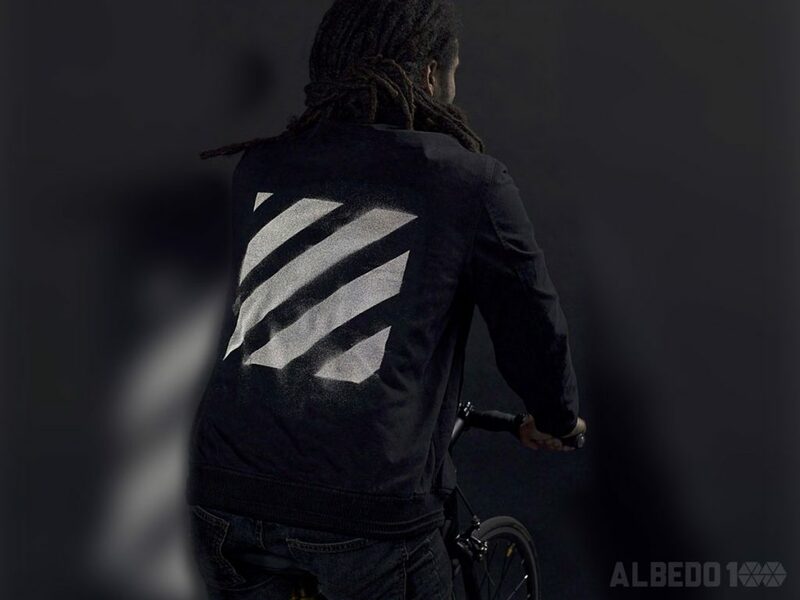 Perfect for activities such as evening walks, jogs, camping, outdoor sports and bike rides. 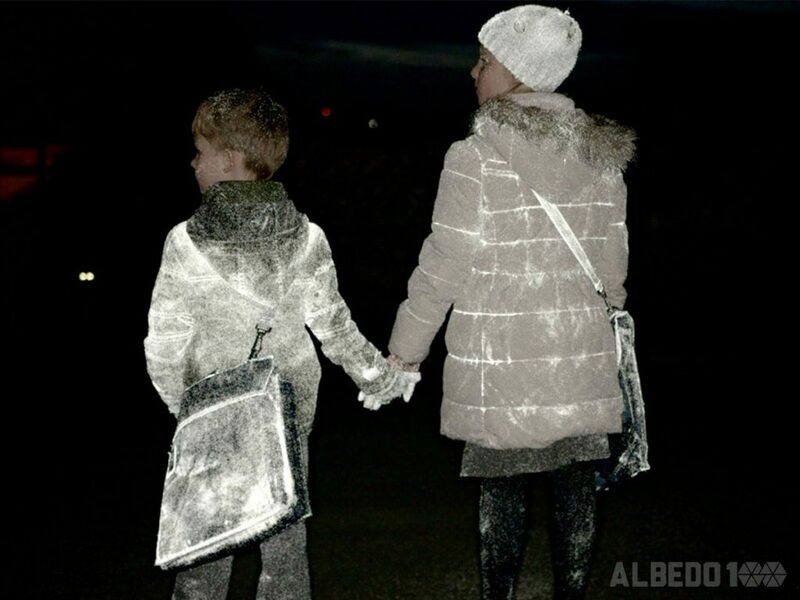 Albedo100 Reflective Spray consists of transparent glue and reflective microspheres. 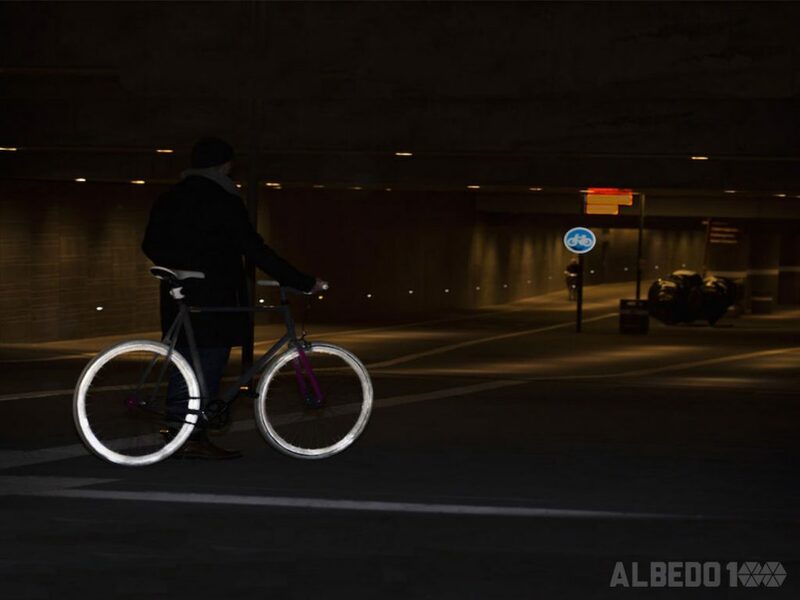 It reflects the light in the same direction as the light source. 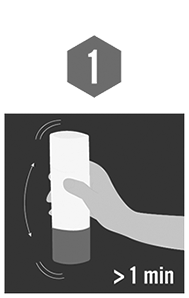 This means that when standing infront of a light source, such as headlights, only the driver and passengers in the car will see the reflection. 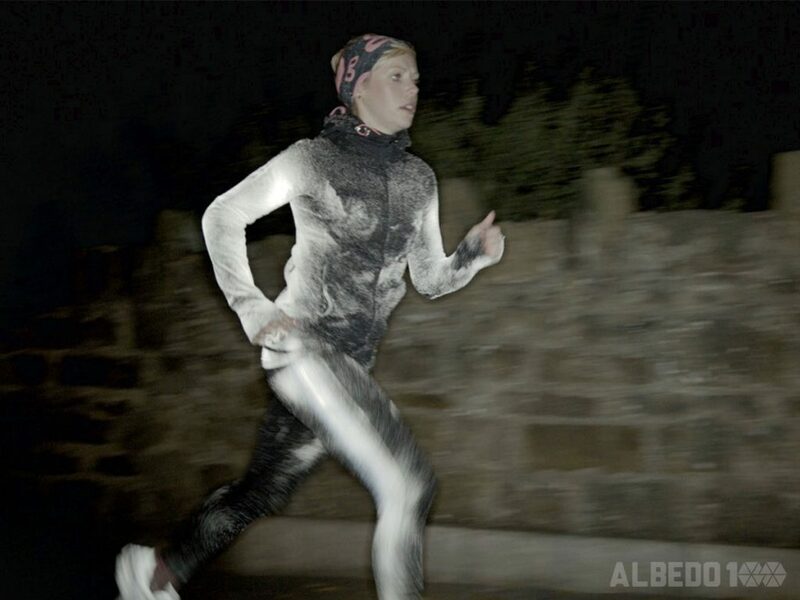 The reactive effect is useful for evening walks, jogs and bike rides. Increase the visibility and safety of your self and your children in traffic by spraying your clothes and other textiles such as jackets, shoes and backpacks. 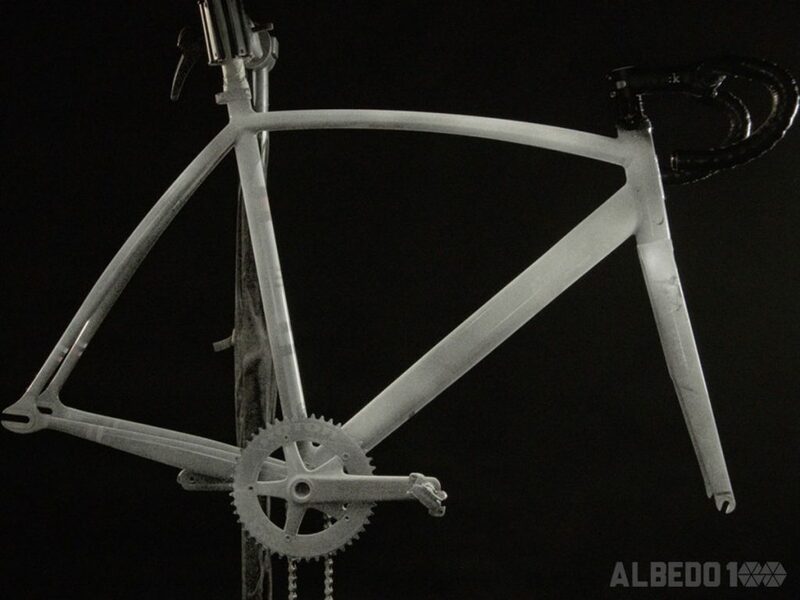 Albedo100 Permanent Silver Metallic is a spray with light-reflective properties that sticks to most surfaces, and resists wind and rain. 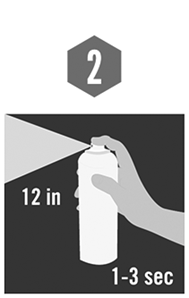 The spray is UV-resistant and is durable on materials such as wood, concrete, metal, stone etc. 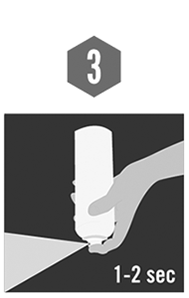 It is also appropriate for use on wheels on strollers, bicycles, gates, letter boxes, kayaks, garbage cans, tools, metal, painted surfaces, pavements, fences, nylon textiles, bicycle-helmets, etc. 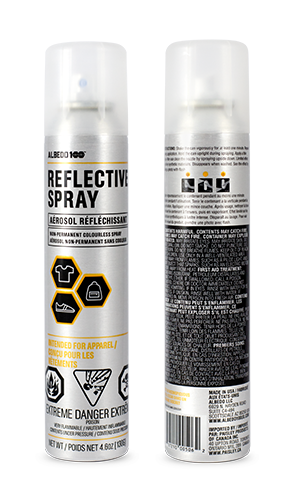 © Reflective Spray. All rights reserved.